Perhaps you are visiting our website today because you, or someone you care about, are using cannabis. Whilst we understand that smoking cannabis can often be considered as socially acceptable, it is still an addictive Class B illegal drug used widely among people in the UK. Cannabis addiction is real, even if many would desire it to be otherwise. Derived from the Cannabis plant, it contains a psychoactive chemical called tetrahydrocannabinol, or THC. It is this ingredient that produces the relaxed, happy feelings that you will experience when using cannabis and that can also lead to addiction. THC is a psychoactive component that could be producing extremely frightening hallucinations and sensations. There are different types of cannabis, all varying in THC strength. 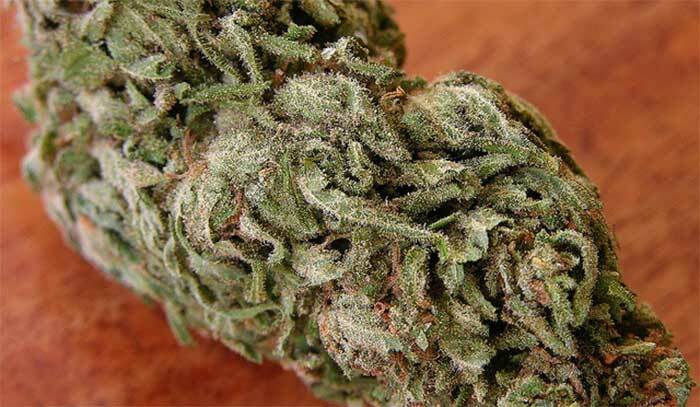 THC can lead to adverse negative effects such as paranoia, schizophrenia and anxiety disorder. 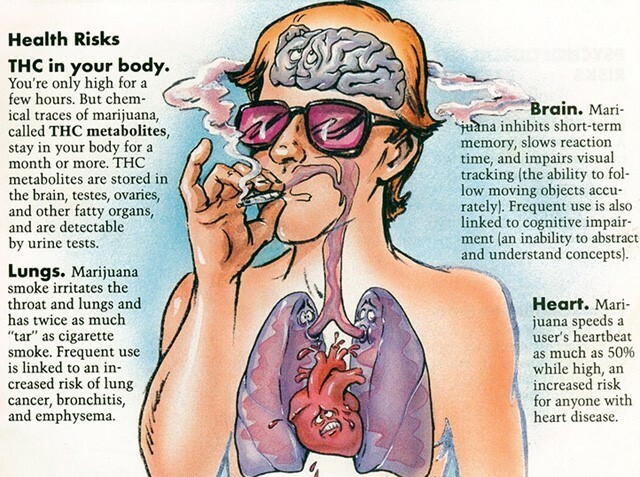 Teenagers can be particularly vulnerable to these effects if smoking cannabis whilst the brain is still developing. It is typically rolled into cigarettes or smoked through a pipe or bong. You may also use it as an ingredient to add in to tea, homemade cakes and biscuits. You may reasonably think that cannabis is safe to take because it comes from a natural plant, but it is a mood-altering substance that has the potential to become dangerously addictive. Cannabis can be smoked recreationally, but for some it can become a real problem. If you have an addiction to cannabis, you may find that the drug becomes an obsession that interferes with your everyday life. You might find it hard to control your use, and it may be causing negative consequences in your life, impacting you financially, mentally, physically, socially and with interpersonal relationships. What Are the Various Types of Cannabis? All types of cannabis have the potential to be addictive and to cause damaging effects. Produced under many different names and forms and sold over the internet. Due to the recent ban on all legal highs, these substances can now only be obtained illicitly off street dealers or from ordering online. These synthetic forms, are just as, if not more, dangerous. You never really know what you are getting or using; the THC content can be particularly high and can be mixed with other illegal and legal drugs that cause physical dependence. Much media coverage and dangers were exposed over the then-legal high substance SPICE. 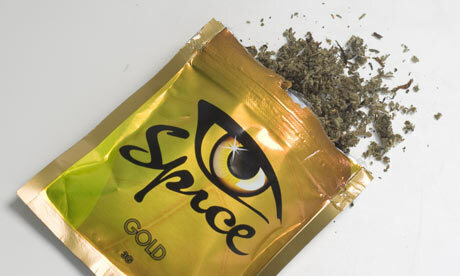 Spice is a synthetic form of cannabis and is highly psychologically and physically addictive, with the effects and withdrawal symptoms produced similar to that of heroin. Cannabis in all forms, whether synthetic or pure, cause huge problems if you have an addiction to it. Made from the buds of the Cannabis plant. Its appearance is similar to dried grass. It often has a very pungent smell that lingers in the air and may cling to your clothes and furnishings. Often referred to as weed, cheese, skunk or grass, it comes vacuum-packed, in small bags or wraps. If you are using this form you will likely be mixing it with tobacco and smoking it from a joint or pipe. This particular type is commonly used recreationally and very addictive as it contains high levels of THC in a smokable form. The least common out of the three main types, cannabis oil has a dark appearance and is sticky in texture. In terms of the psychoactive component THC, it is the most potent and contains the highest levels. The oil is usually added to forms that are popular for recreational use and tend to be abused more. It also has medicinal purposes used to treat chronic pain. Usually smoked in a joint or through a bong, resin comes in a solid pressed form and in varying shades of brown and black in appearance. 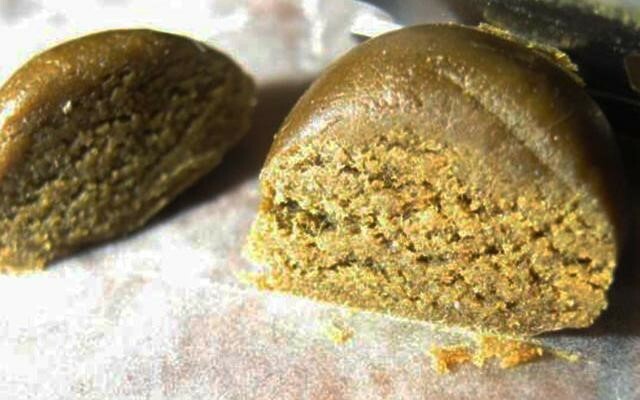 This form is commonly known as hash or hashish. As well as being smoked, it can also be added to food and eaten. Resin is taken directly from the Cannabis plant. A portion of the solid is heated (usually with a lighter) so that it becomes crumbly in texture and can then be added to tobacco and smoked. Of the three main types, it usually contains the lowest THC levels. You may experience pleasant effects such as a calmness, relaxation and a euphoric sensation. You could become very talkative, experience fits of giggles and extreme euphoria. The hallucinogenic symptoms of cannabis can make you feel as though everything has slowed down and time stands still. As these reactions begin to wear off, you may get what is referred to as ‘the munchies’, where you feel very hungry and want to eat vast amounts. However, it is important to remember that cannabis can also cause very unpleasant repercussions. You may feel faint, lightheaded and/or nauseous. Sometimes you might experience panic attacks, paranoia, extreme anxiety, aggression and hallucinations. Long-term cannabis use can lead to problems with sleeping. When smoked, you will feel the effects of cannabis almost immediately. If you ingest it through food or drink the signs can take longer to occur. There is less THC delivered to the bloodstream when cannabis is taken through food and drink. Nevertheless, because of the delay, you are at risk of taking much more of the drug than you intended, this may lead to adverse issues. In the short term large doses of THC can cause delusions, paranoia and psychotic episodes. These symptoms are generally temporary, lasting from one to three hours when smoked, but can last longer if taken in food or drink. The amount and regularity you smoke will impact on how long it is detectable in urine, saliva, hair and blood samples. THC can be detected in the body even after a whole month has passed since the last use; longer in cases of heavy or prolonged use. What Are the Dangers and Risks of Cannabis? It is important to take care of yourself; smoking cannabis regularly or excessively carries a very high risk of developing a mental health illness; not only in the short term whilst you are using the drug, but also in the long term…long after you have stopped taking the drug. Some of its effects on the brain are irreversible or cannot be adequately treated, and could leave you with permanent mental health problems and illnesses. Due to it being smoked with tobacco it can also lead to a nicotine addiction and associated problems such as lung cancer. If you have addictive tendencies or a predisposition to mental health disorders, it is anything but safe to use in its natural or synthetic form. If you are an addict you could find it almost impossible to stop without the aid of professional help. Much scientific research has been conducted into the short and long term effects of heavy cannabis use on the brain. Scientifically, it has been proven that if you start smoking cannabis during your teenage years you are at the highest risk of developing mental health issues and a lowered IQ. Up until early adulthood, the brain is still developing and is particularly vulnerable when exposed to psychoactive substances. Therefore, teenagers and young adults are at an increased risk of developing permanent and irreversible mental health disorders such as Schizophrenia, Psychosis, Depression and Generalised Anxiety Disorder. 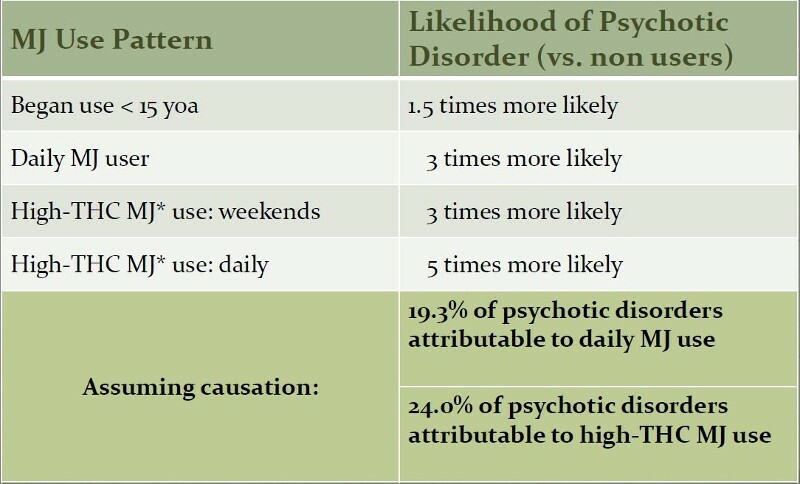 Those who have a predisposition to addiction or other mental health related disorders are also at a higher risk. Sometimes, these illnesses are treatable or can be reversed once you have stopped taking the drug, but sadly, damage to the brain is often permanent and your life may never be the same. Regular use of cannabis can also cause changes in how your brain functions and processes thoughts and emotions. It can impact your memory, lead to permanent learning difficulties, concentration problems and hinder your ability to retain and process information. The cannabis that is available now is much stronger than it used to be five years ago and is often referred to as skunk. This version of the drug has been directly linked to an increased number of psychosis-related mental health illnesses. Please be extra cautious when using this drug. While experts used to believe that cannabis was not addictive, studies have shown that regular use over time can change the way the brain functions. It can lead to both psychological and physical addiction. If the drug is smoked with tobacco, it can also lead to a nicotine addiction. What Is the Law on Synthetic and Pure Cannabis? Some have been sold as ‘legal highs’ in the past. Due to many containing illegal substances, their addictive properties and high THC content; the Misuse of Drugs Act introduced the Psychoactive Substances Act. This came into force in May 2016. All ‘legal highs’ containing illegal drugs or psychoactive properties have now been banned and classified as Class B drugs, making it illegal to possess (even for personal use), supply, sell or give away for human consumption. Driving whilst under the influence of drugs is classified the same as drink driving. Cannabis can seriously slow down your reactions, impair your cognitive decision-making and cause hallucinations. With some drugs, it is illegal to drive the next day also. In England and Wales, it is illegal to drive over a very low set level of 17 named drugs (legal and illegal), regardless of whether you consider yourself impaired or not. Very low limits have been set for cannabis. So if you have used any amounts within the last 24 hours it is a wise decision not to risk driving. Being caught can carry a driving ban, heavy penalties and even imprisonment, depending on the levels within your body and the impairment of your driving. Are You Addicted to Cannabis? Do you regularly smoke cannabis? Are you smoking more than you used to? Do you need more of the drug than you used to get the same effects? Do you suffer from withdrawal symptoms such as depression, agitation, anxiety, insomnia, aggression or upset stomach when you are not using? Do you often smoke more than you intended to? Have you tried to cut down or quit but have not been able to? Do you avoid responsibilities in favour of using? Are you spending much of your free time using? Do you continue to use even though doing so will have negative consequences? Do you need to smoke a joint in order to feel happy or relaxed and are you unable to feel this way without it? Does the thought of giving it up frighten you? Do you feel lost, without a sense of purpose or unable to motivate yourself unless you have a joint? Has it negatively affected your physical or mental health, sociability, personal relationships with others, your ability to work, your responsibilities or finances? If you have answered yes to two or more of the above questions, and are concerned about your use, you could have a problem that you need further help with. Is Cannabis Rehab Available on the NHS? Rehab for cannabis addiction is not available on the NHS. Funding can be requested from the government by your local DAT (Drug and Alcohol Team). Unfortunately, they do not usually fund for cannabis addiction alone. If funding is approved, there are very long waiting lists. You may be asked to attend a pre-rehab course, other groups and appointments in preparation and to show willingness. NHS funding is only awarded to the most severe cases of drug and alcohol addiction. If self-funding for private rehab is not an option or is not financially possible, you can still access support from your local DAT who will provide key work sessions and groups for you to attend. You may find Marijuana Anonymous, Narcotics Anonymous and also SMART groups helpful to maintaining recovery. If you are presenting other mental health illnesses they will need to be dealt with by your local mental health team. Your GP will be able to provide a referral to their services for a correct clinical diagnosis and appropriate treatment. What Treatment Is There for Cannabis Addiction? There are various options available for private treatment; the type of treatment most likely to be successful will depend on the severity of your addiction, any additional addictions, co-occurring illnesses or mental health conditions. In our experience, the first step towards recovery is to stop using the substance completely, this will enable psychological, medical and therapeutic measures to be of maximum benefit. If you find it impossible to stop smoking cannabis, an inpatient rehab programme would be strongly recommended. We believe this will provide you with the best chance of staying permanently free from cannabis and the associated destructive and maladaptive behaviours. Inpatient treatment is specifically tailored to your own medical, physical, social, emotional, spiritual and psychological needs. We understand that this can be a daunting prospect to face, but failing to treat the psychological aspect of cannabis addiction could result in relapse. If you have a physical addiction to a cannabinoid, you will undergo a comprehensive assessment by a doctor on admission to one of our rehabs. You may also receive a short detox to help relieve the withdrawal symptoms. When it comes to cannabis there is no medically recognised medical detox that you can obtain from your GP or on the NHS. We fully appreciate that physical and psychological withdrawal symptoms can manifest in early withdrawal and can be difficult; therefore our doctors will prescribe a suitable and approved medication to keep you comfortable during this time. 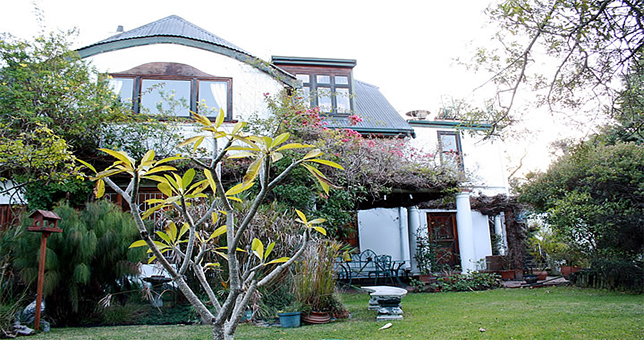 Our rehabs are staffed by experienced and fully qualified addiction treatment experts, including doctors, nurses, counsellors, psychotherapists, holistic therapists and support workers, who are all on hand to help you through this part of your recovery. We only work with CQC-regulated treatment centres and have access to over 100 exemplary rehabs within the UK and also some elite and luxurious rehabs abroad. All of our approved rehabs adhere to strict medical and therapeutic guidelines and policies at all times. If you have any questions relating to cannabis addiction, treatment, rehab, or would like to find out more about how we can help, please call or chat to us live, for a free and comprehensive assessment of your individual treatment needs. We are here 24/7 and ready to help you now!